Gifting Stones are designed and hand-crafted by Potter Dawn Deines-Christensen. A stone has been designed specifically for each individual Milestone Child, Youth, and Adult module. 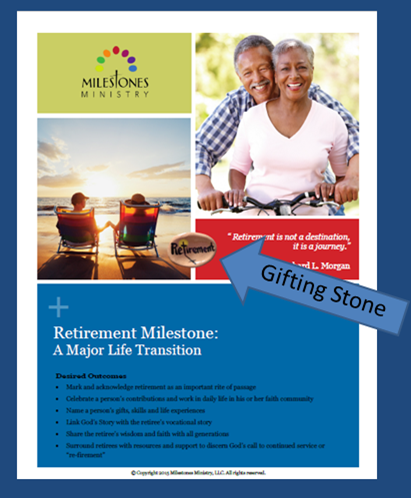 Gifting is one of the five stages suggested by Milestones Ministry as a way to visually remind those who participated in the Milestone of a memorable moment. 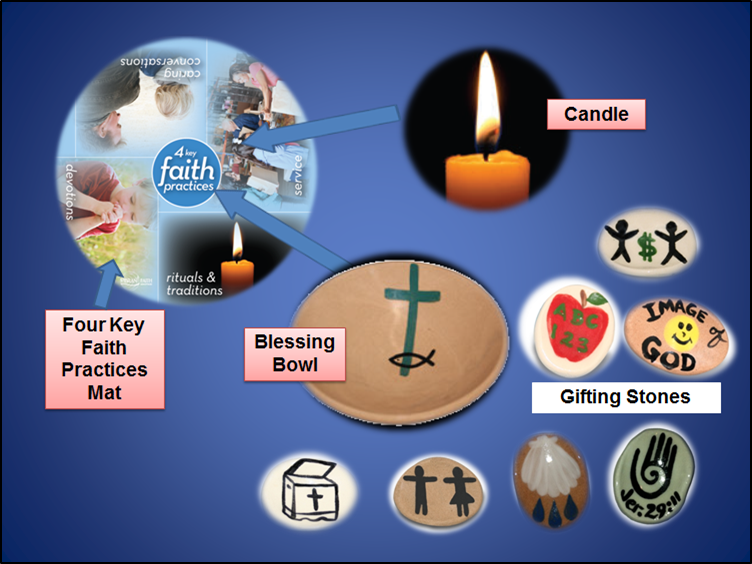 Giving a gift serves as a visual sign and gives witness to one’s faith. 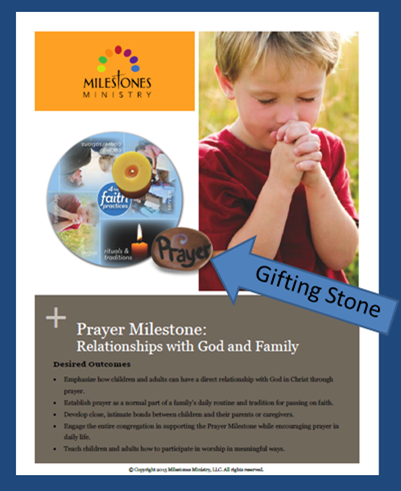 Five pages of these beautiful hand-crafted gifting stones can be found in the Milestone Ministry store. There are also mats and bowls to compliment the stones.